Messe Düsseldorf China Ltd offers comprehensive services for Chinese exhibitors covering pre-show, during-show and post-show stages. Messe Düsseldorf China Ltd. has been actively assisting Chinese enterprises to go abroad and compete with industry leading enterprises on the international market. Messe Düsseldorf China Ltd.provides the updated visa information and the invitation application for attending overseas exhibitions. Q: How long to arrange the invitation letter? The invitation letter will be issued around 10 working days upon the integrity of all application materials. The draft letter will be delivered within 3 working days upon the reception of all application materials, while the formal one will be issued within 7 working days upon the reception of draft confirmation. 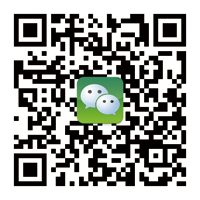 Q: What kinds of invitation letter application could Messe Düsseldorf China Ltd. provide? There are two kinds of invitation letter --for exhibitors and for trade visitors. Q: What kind of visa can be applied for with the invitation letter from Messe Düsseldorf China Ltd.? Q: How to fill in the “departure and return date” in the dispatch letter? Exhibitors should departure on the 4th day before the exhibition and return on the 4th day after that. Visitors should departure on the 2nd day before the exhibition and return on the 2nd day after that (except drupa). This is the longest duration permitted by German consulate. Please abide by it strictly. Q: How many free Invitation Letters can exhibitors apply for at most? Because each exhibition different for details, please call (0086)4008873363 for enquiry. Q: Are originals required for application materials? Online application: Application documents should be uploaded. Acceptable file types are JPG and PDF. Each file should be under 500KB. Please contact us if upload problems are encountered. How to submit the application form: Application documents sent by fax or email are all acceptable.